Join us for this Autumn Half-Term Special Weekend and not only can you enjoy all the usual hotel facilities we offer, but you will be entertained by two renowned local bands. The Covers Brothers will astound you with a range of styles from the 1950s and 1960s through to the present day. Expect to hear Elvis Presley, Buddy Holly and The Everly Brothers. 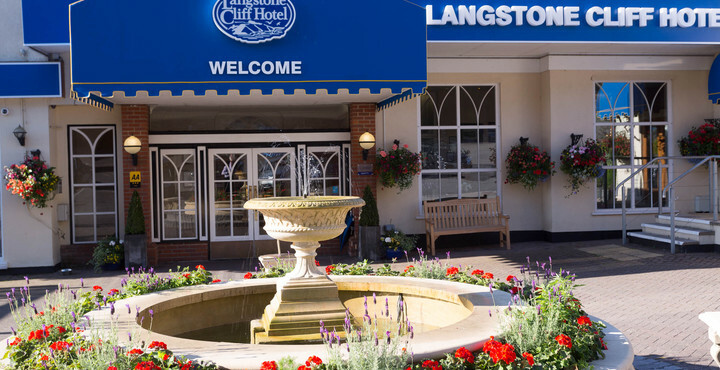 A previous review included the praise, “I saw the talented ‘Covers Brothers’ play at the Langstone Cliff Hotel. What a great band! They are top quality with superb music played with enthusiasm.” We look forward to welcoming them back! The 60s Explosion lives up to their namesake. When they take to the stage they promise an authentic 1960s experience. You’ll hear The Beatles, The Monkees and The Swinging Blue Jeans – but that’s not all! They use period inspired equipment and have perfected their vocal harmonies so you get to enjoy a taste of the 1960s in the modern day. You may arrive whenever is convenient for you, but please be advised that we endeavour to have your room ready for 3.00pm. Light meals and snacks are available to purchase from 11.30am – 9.00pm and the bar offers 24-hour service. As it is our 70th anniversary year we have included a complimentary buffet lunch as part of the special weekend package, the timings of which are below. To book your space at what is sure to be a wonderful weekend this October, call us on 01626 868000 or contact us here.